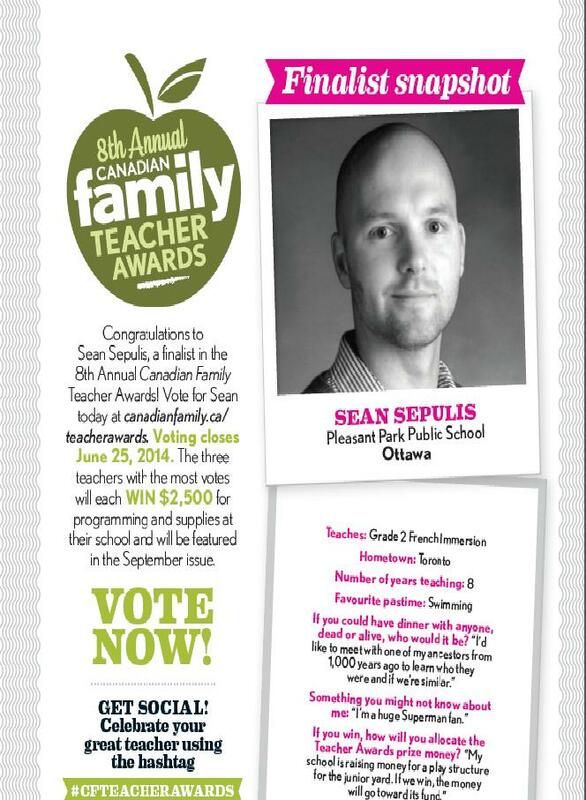 Sean Sepulis of Pleasant Park PS – FINALIST in the Canadian Family Teacher Awards! Way to go Sean! You have my vote! !